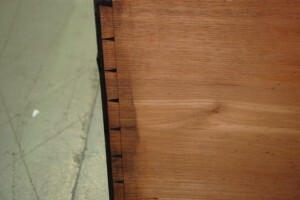 Beautifully finished to 4 sides. 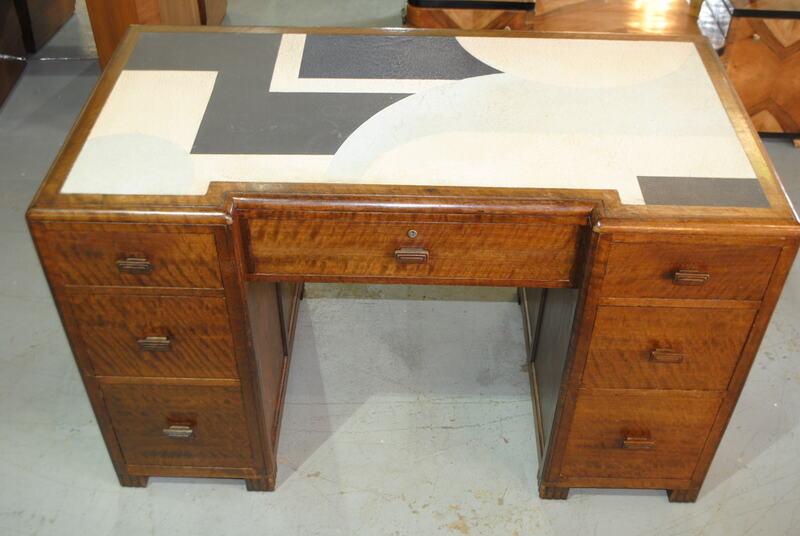 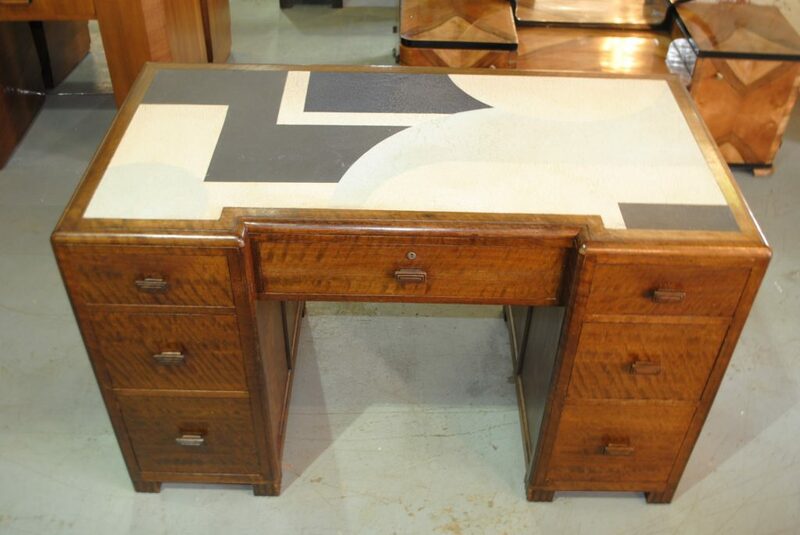 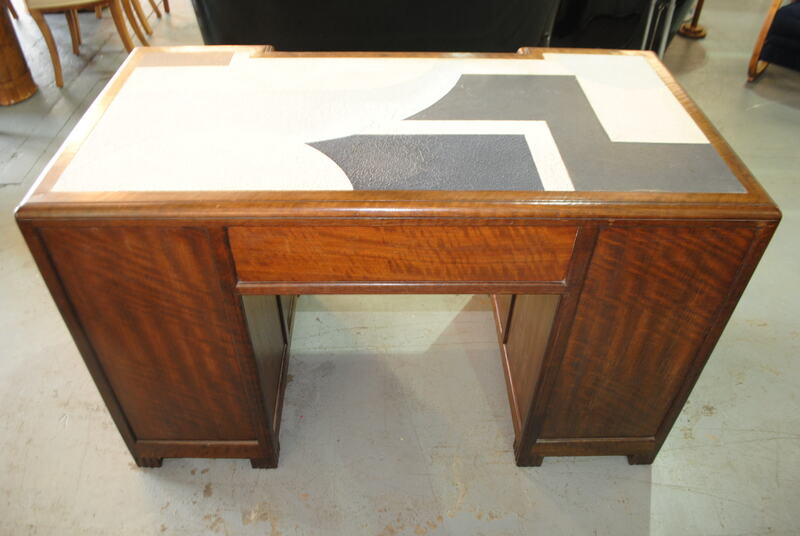 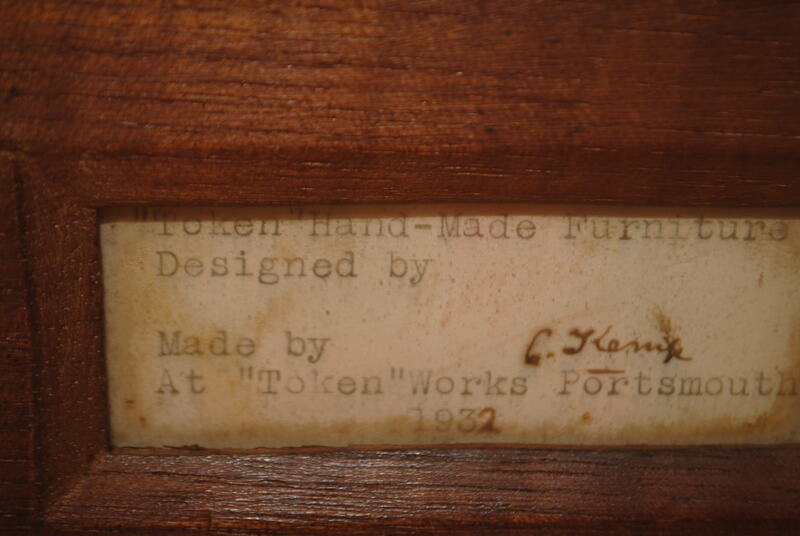 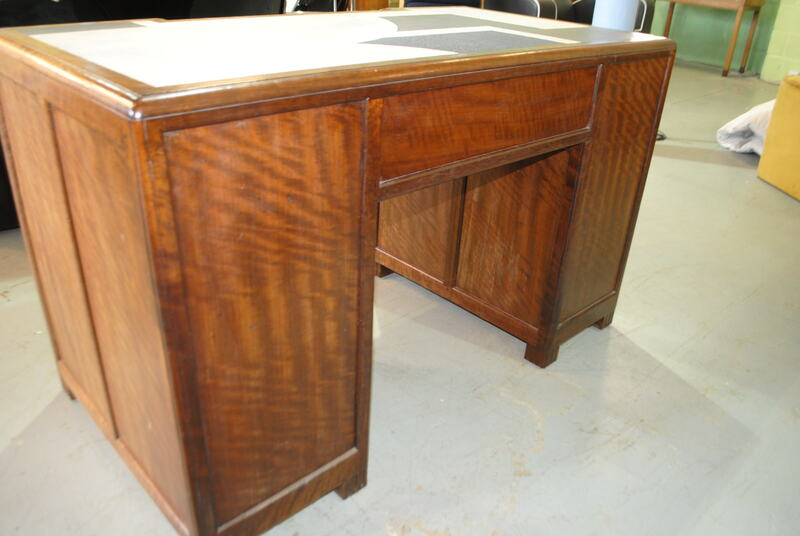 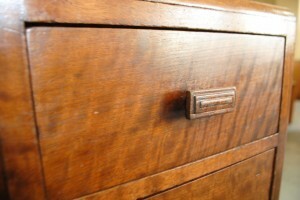 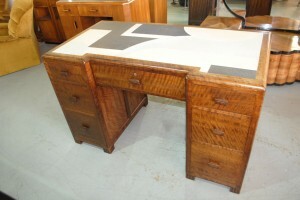 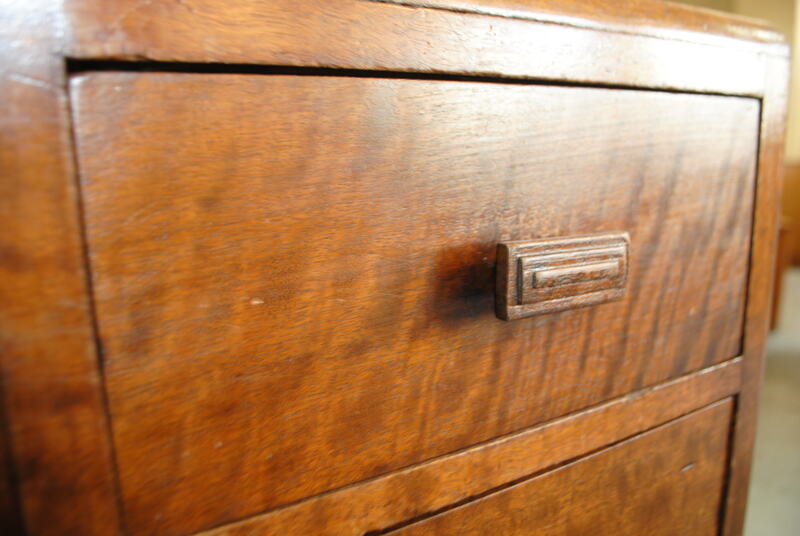 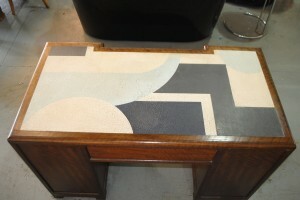 A stunning one of a kind Betty Joel writing desk. 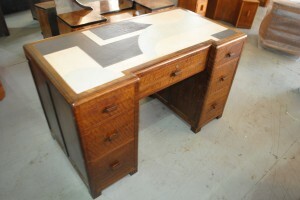 In complete original condition with Tri coloured leather top which has great patina. 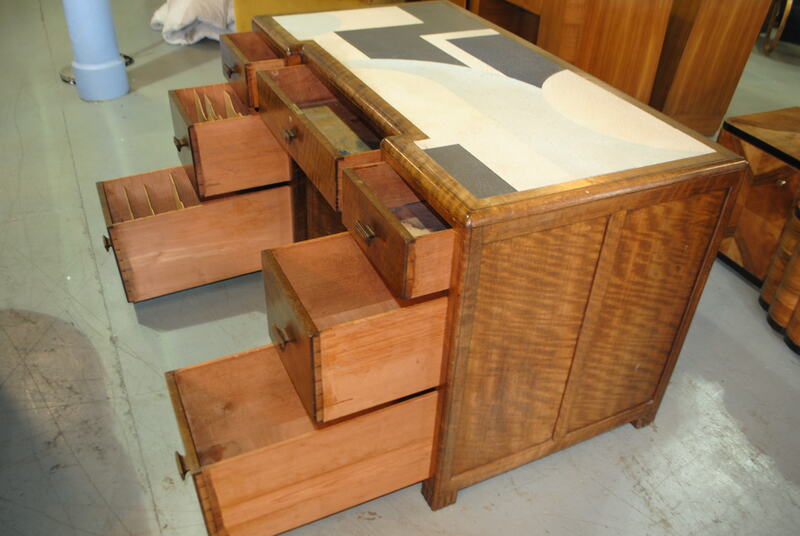 Betty Joel designed the most wonderful quality pieces all being hand made by individual cabinet makers each putting their proud names to each piece they made. 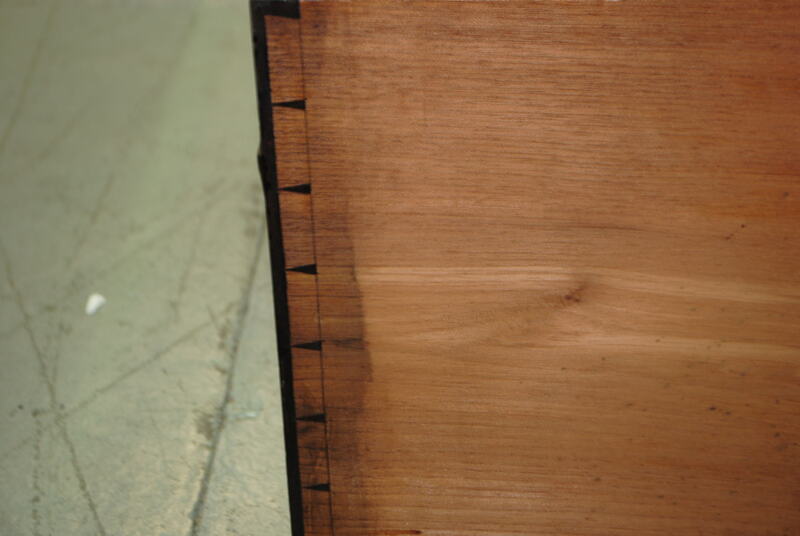 Using the very best ceder and Austrailan oak veneers , stainless fittings, hand cut dove joints, this 360 degree master piece is no exception. We have been lucky enough to stock several Betty Joel pieces over the years but this has to be our favourite to date. Prior to delivery this will be given a Cloud 9 Art Deco wax strip and polish bringing out the original and intended beauty of the Austrailian oak. 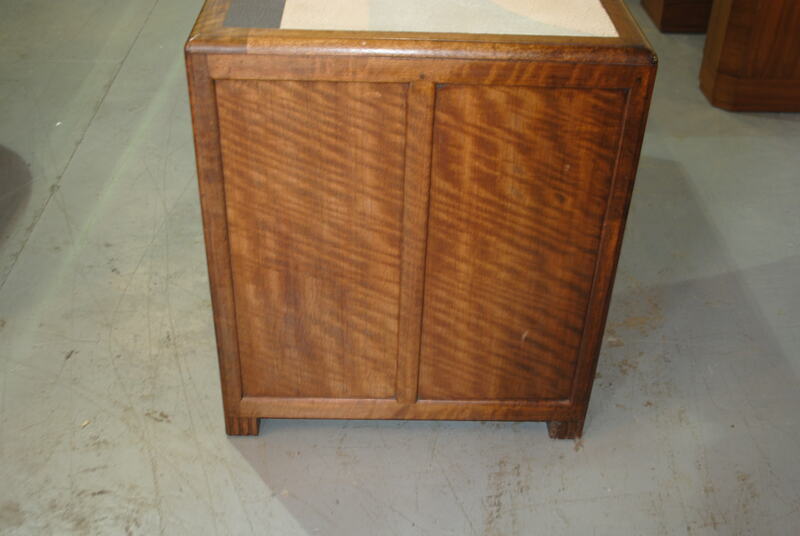 Optional cut and beveled glass top.